Anyone else notice the pube? This is actually quite common, especially in the ladies' rooms. 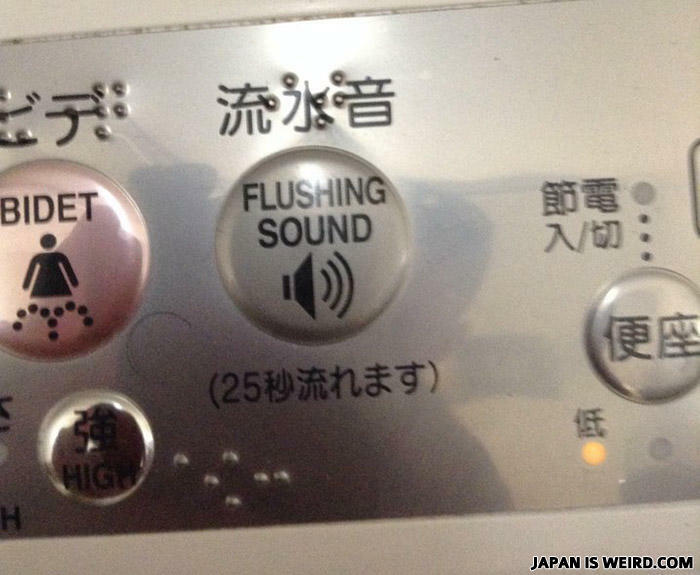 It's designed to drown out the sounds of bodily functions so women don't feel embarrassed.